Tottenham can thrive on outside criticism of their recent patchy form, insists boss Mauricio Pochettino. Spurs laboured to a 1-1 draw at Watford on Saturday, slipping to four Premier League matches without victory. Defender Davinson Sanchez is facing a suspension after his red card for a forearm to Watford forward Richarlison's face in the Vicarage Road clash. 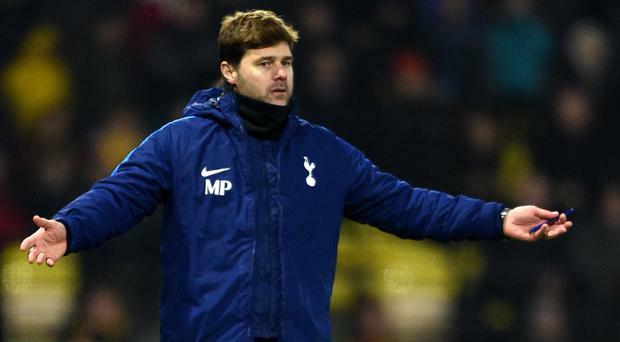 "I don't know what people say (about us), but of course when you don't win and you play for or manage Spurs there's always going to be criticism," said Pochettino. "But of course I accept that, I try to learn after every game, but I think in the last two or three seasons Spurs have been very competitive. "Yes, of course we want to avoid bad moments and periods but we are not still this type of team like Barcelona, Real Madrid that can maybe keep winning and winning for long periods. "We're completely different, we're not in the last stage (of our development). "So we need to use these experiences to improve, to learn, to get more experience. "When people criticise us, my staff and my team, that always makes you stronger, and sometimes that's good. Any ban for Sanchez would whittle down Spurs' defensive resources, with Toby Alderweireld already sidelined until January with hamstring trouble. But Pochettino remains unfazed about that prospect. "I'm not going to complain, if Sanchez is out for a few games, that's football," said Pochettino. "And it's always about the squad anyway. We'll just have to play someone else. "Of course you always miss players who are unavailable, but I won't complain."